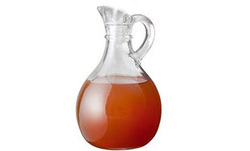 Apple Cider Vinegar is good for so many things: eating, beauty, health, pets the list is endless. Here are just a few of the many uses this miracle elixir. Baking soda not just a cooking ingredient. Look and see what else it is good for on the linked page. Not sure if Vino is a pantry item or not but it is in the beauty catagory. Here is an interesting tip I came across recently. Mayo is more than just a salad dressing. Hair, finger nails, skin and even creepy crawlies. DIY Facial & Eye Serum using Almond or Coconut Oil and essential oils is the best thing for your skin and eyes. Easy to make and a lot more inexpensive than any high priced, animal tested, toxic creams and products you can buy anywhere.